By changing the bath panel, you can transform the look of the tub dramatically. Commonly used with acrylic or steel baths, bath panels hide the plumbing while also lending visual appeal. 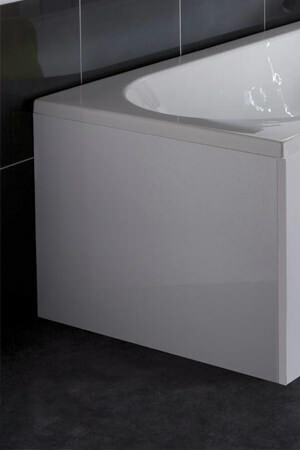 The front and end panels also play a protective role, improving durability and insulation to your bath. Our collection will simply astound you and work towards brightening your bathroom as well as your bathtub. 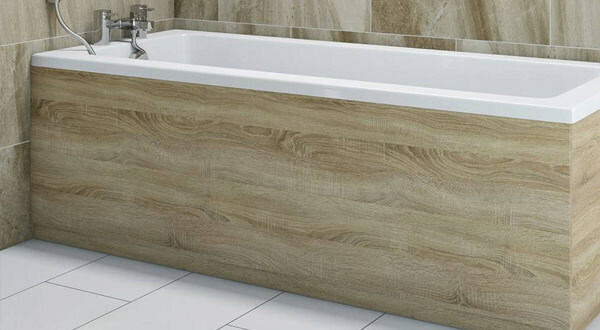 Made of wood or acrylic, bath panels always add a nice finish. Our collection of bath panels includes front, end, and L-shaped versions. They are made from moisture-resistant materials, like MDF and plastic, for long-term use and value for money. Available in an enviable range of colors, finishes, engravings, and sizes, there’s one for every home.